Oh dear, I listened to the Knit British podcast the other day and realised we are into the final quarter of the Good Intentions year. Since I posted gleefully last year about all the yarn/pattern combos I was definitely going to complete as part of the Good Intentions Club, I have successfully finished… none of them. Whoops! I think I know why, though. After the pretty terrible last few months of 2017, 2018 has been both infinitely better (self-employment for the win, every time) and also unleashed a hitherto unexpected surge of knit design creativity. And for the most part I keep finding myself inspired to design new patterns, often by yarn in my stash or gifted yarn. I’m surprised but utterly delighted by it all, to be honest, and hope that it keeps on keeping. Right now the situation doesn’t lend itself to a lot of photography, mind. I am working on my reboot of the cowl I made for Edinburgh, and I’m currently in garter stitch purgatory. I’m three-quarters of the way there, though, and then it’s all about the delightfully pleasing double-sided edging which is a lot more fun. I’m using the Julie Asselin Fino which I got at last year’s Pomfest and it is a little slice of squishy heaven to knit with. Hopefully an update on it soon! I did also whip up another Elijah for a friend’s new baby. It has gone down pretty well, apparently (yay). 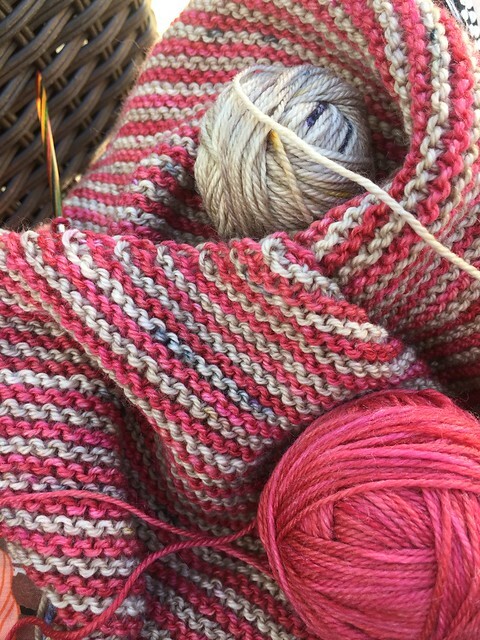 Previous Post Once upon a sock in July 2018 – no socks! Love Elijah – I have started 1- to the ears! – as a Nana I love to make baby & grandbaby gifts – Thank you for telling us about him. 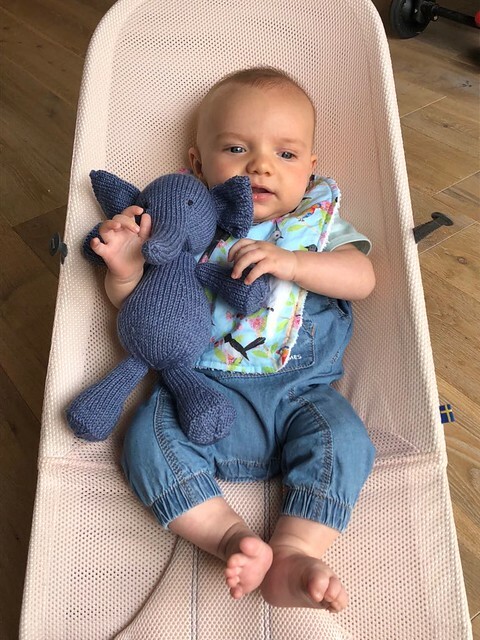 Oh I’m glad you love the pattern too – I think it’s the best toy pattern I’ve found bar none! Oh a house move takes over EVERYTHING! It was months after we last moved before I felt my knitting got back to normal. Love Elijah; he’s plush and squishy, perfect for a baby to feel and hug about.